Every employee in your organisation can improve, even the best ones. There are strategies you probably already use to achieve this including providing effective leadership and motivation. E-learning has a role to play too. When you use e-learning effectively, you can improve employee performance. Upskilling – you can use e-learning to upskill employees in new job roles, to help them advance their careers, or when implementing new systems or technologies. In the latter, the new system or technology is likely to have performance-related objectives. E-learning can help you reach those objectives faster and in a more sustained way. Reinforcing existing skills – all employees, including the very best members of your team, can develop bad habits. This happens for a variety of reasons, including becoming over-comfortable with what they do. 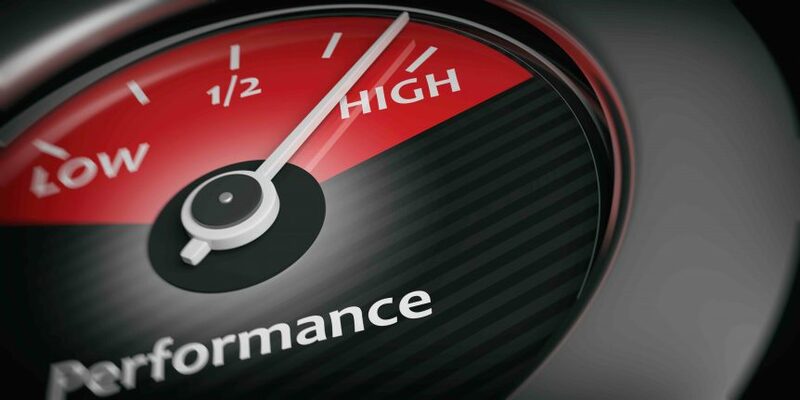 This becomes a problem when it impacts performance, although it can sometimes be hard to identify if there is no measurable performance slippage. You will know, however, if employees are not performing to their potential. E-learning courses that reinforce existing skills will help. Soft skills – soft skills like communication skills, teamwork abilities, and customer service skills can improve the performance of your employees just as much as hard skills. E-learning is an ideal delivery method for soft skills training. Just-in-time training – there is an increasing body of knowledge that just-in-time learning is one of the most effective ways of delivering training to your employees. Just-in-time learning is where an employee doesn’t do the training until they absolutely need it. This creates urgency plus the employee must use the skills or knowledge in immediate real-world situations. Even if you have a good strategy for improving employee performance through training, success depends on delivery. The main pitfall you want to avoid is employees going through the motions with the training because you make them. This doesn’t help the company or the employee. Instead, you want the employee to fully engage with the training. When they engage, they will retain the information more effectively and will also, crucially, put it to use. Of all the training options you have, e-learning is one of the best at achieving this. Make learning a habit – organisations that get the most from training courses delivered via e-learning or otherwise are those that have a learning culture. If your employees expect and want training, it is more likely to be effective. Customise for selective groups of learners – one of the main benefits of e-learning is the ability to customise courses. In particular, customising for small groups of employees. With this approach, most of the course is standard for all employees but you can then have specific modules that you customise for each group. This makes the course more relatable and relevant. Use microlearning – your employees like using their phones. Not only that, they expect to be able to use their phones for all sorts of tasks. Why should completing an e-learning course for their employer be any different? From your perspective, employees will engage more with the course as they can proceed through it at a time that suits them. This is more effective than the more formal method of the employee making time to complete the course on a computer. Make the learning active – you should also include as many interactive elements as possible in your e-learning course. This includes gamification elements, scenarios, quizzes, social media integration, and more. With e-learning, the employee should participate in the course as much as possible. Give instant feedback – quizzes and other interactive elements can give you instant feedback on an employee’s progress through the course. This lets you monitor uptake, completion rates, and success rates. In e-learning, feedback is also important for another reason – it shows the employee how well they are doing and where they need to improve. For example, the employee might think they know something more than they do or they might think they don’t understand something. Instant feedback removes the guesswork. There are two final points to consider when using e-learning to improve employee performance. The first is to measure retention rates over time. This will tell you when you need to revisit the subject area again. Following on from the last point, improving employee performance is not a one-time thing. Instead, it is about constantly working to achieve the best. Therefore, e-learning should be a part of your ongoing performance improvement strategy.